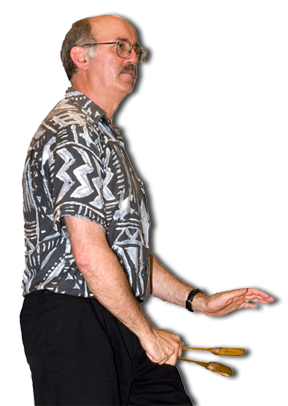 David Millstone started contra dancing with Dudley Laufman in the early 1970s and has been calling dances for forty years. His monthly dance (1980–2015) was with the band “Northern Spy” in Norwich, Vermont, making this one of the longest series in New England. With an American repertoire ranging from traditional New England chestnuts to high-energy recent compositions, he calls contras, squares, and interesting dances in odd formations. He is also an experienced caller of English country dances. He is known for his clear and supportive teaching style, the breadth of his repertoire, his sense of humor, and his ability to pick dances that offer the right level of challenge for all audiences. David has called throughout the United States and Canada, as well as in nine countries in Europe. He has made six calling tours of Denmark, including conducting a daylong callers’ class, and he has led dance tours to Prague and the Czech Republic on eight occasions. As a dance leader for younger or less experienced dancers, he has led hundreds of family dances, weddings and private parties throughout the Northeast. He has been a staff member at week-long family dance camps run by the Country Dance and Song Society. A former elementary school teacher, he also taught country dancing, sword dancing and Morris dancing to students. One of his favorite regular gigs is the family dance sponsored by the Parent-Teacher Organization in his small New Hampshire city; 2018 marked the 35th annual event, and he's called at every one. A dance historian, he is co-author of Cracking Chestnuts, a book about classic American contra dances published by CDSS. He also wrote the contra dance history chapter of Dance a While (tenth edition) and the liner notes on dance history for the “Contra Roots and Branches” CD. He coordinates the Square Dance History Project, a major initiative that is building a digital library —moving images, audio clips, photographs, and text — exploring all different styles, past and present, of square dance. His video documentaries about Bob McQuillen, Dudley Laufman, and Ralph Sweet are well regarded. David Millstone served for 12 years, including 6 as President, on the Governing Board of the Country Dance and Song Society, the nation’s major organization supporting traditional English and Anglo-American music and dance.